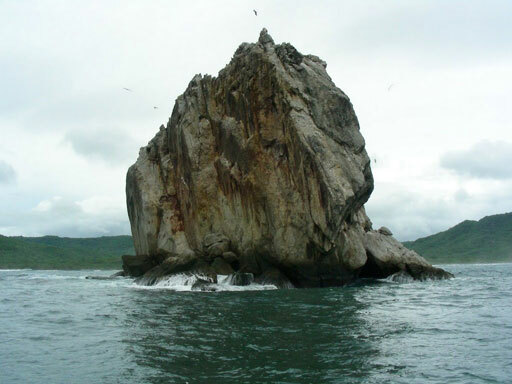 Witch's Rock is the most famous break in Costa Rica and the landmark of Santa Rosa National Park. A top spot on most Costa Rica surf tour options, it offers beauty and fun. This is a world class break that thousands flock to every year and it’s the premier destination for a reason. The fast hollow rights on this surf adventure are amazing, and its remote nature means you won’t be running into other novice surfers while you’re here. After all, you can only access it by boat or with a 4x4. Although we obviously cannot make it part of any "learn to surf” programs, we DO offer daily boat charters out to the spot - which is a ride that other Costa Rica surf tour operators just don’t. Witch's has been immortalized in surfing magazines and films around the globe, and it isn’t hard to see why. Here you’ll get a ride like nowhere else in Costa Rica. The big, glassy waves make surfing Witch’s Rock a great experience. You get a fast, clean ride every time as well as easy paddle-outs. Our namesake, Ollie's Point is a beautiful and remote world class surf break made famous from the movie The Endless Summer II. Only accessible by boat, it’s the spot many think of when ‘Costa Rica surf vacation’ comes to mind. Unlike Witch’s Rock, almost everyone sets up in the same place when you surf Ollie’s Point because it’s a point break. Not just any boat can grab access, though. Every boat has to be permitted to get in, so while it can get a bit crowded in the afternoons; it’s still one of the top spots to include on your Costa Rica surf tour. Whether you choose to stay with us, take lessons with us, or just want the phenomenal surf trips, we’re here to accommodate you. Getting to Witch’s Rock is a half-hour boat ride from Ollie’s Point Surf Camp, and once there, the constant waves are certain to impress even experienced surf adventure enthusiasts. Because it’s so popular, you’re likely to see at least one other boat in the water, but it’s a big area, so you won’t ever see the crowding you do with other destinations when you surf Witch’s Rock. Take some time to stop and smell the surf with Costa Rica surf trips that are as exciting as they are extraordinary. If Costa Rican surf camps like Ollie’s Point always make Witch’s Rock a stop on the itinerary. Shouldn’t you? Call 1-506-8702-8407 today or contact us below. Life is too short to sit in front of this screen much longer.